Nishi Enterprise is an internationally recognized firm that is known for designing and producing high quality grate bars, pellet cars and sidewalls. Our company has been manufacturing and producing these castings for decades to cater to the needs of clients around the world. We regularly work with OEM as well as end users for the Iron Ore Pelletizing operations that this equips us with sufficient experience to create the finest products. Our team of engineers and professionals make use of different types of materials to create grate bars such as stainless steel, carbon steel and aluminum. While aluminum is a rather light material, it is known for its high durability and hardiness. The same thing can also be said for stainless steel and carbon steel. 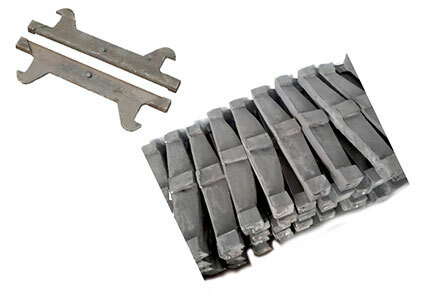 Based on the specific needs of our customers, we weld these grate bars with differently sized spaces between the bars so that they can be used for diverse applications. Our grate bars may also come with varying levels of thickness. Why use Nishi Enterprise grate bars? As a company that is dedicated to create state of the art grate bars that offer excellent versatility and flexibility, we can provide you with products that can perfectly cater to all your needs. We have a team of highly experienced engineers who can provide you with energy audits, onsite grate inspections, grate maintenance works including system operational support and grate bar installation. Nishi Enterprise can offer controls for better firing, additional support for air permit testing and upgrades for combustion system as well combustion tuning and retrofits for a wide range of projects. 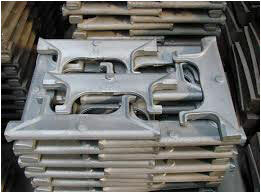 Here are some of the applications for which our grate bars are used regularly.